HP on Thursday unveiled its latest Chromebook at a special event in New York City. Machines of this nature are typically dull and cookie cutter in nature but not this time. 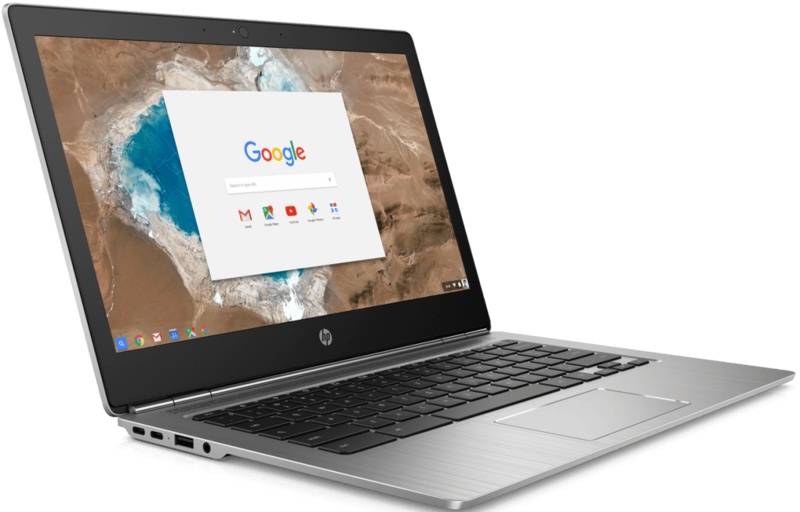 The HP Chromebook 13 features a brushed aluminum chassis that measures just 0.5 inches thick and starts at just 2.86 pounds. The 13.3-inch display is available in either a full HD variant or an impressive QHD+ model sporting a resolution of 3,200 x 1,800. Unfortunately, HP isn’t offering any versions with a touchscreen display. Its impressive nature doesn’t end there as the HP Chromebook 13 is the first of its kind to ship with a sixth generation Intel Skylake Core M processor mated with up to 16GB of RAM alongside 32GB of local flash storage. HP says the system is good for up to 11.5 hours of battery life on a full charge. HP’s latest is also equipped with two USB Type-C ports, a standard USB 3.0 port, a headphone jack and a microSD card reader. 802.11ac Wi-Fi and Bluetooth 4.2 come standard on all models. Some would argue that a Chromebook with this much attention to detail, a high-end display, 16GB of RAM and a respectable Core M processor is overkill for a system that’s largely limited to web apps. That may be the case but at least it's an option. Pricing starts at $499 although that gets you just 4GB of RAM, a much slower Pentium 4405Y chip and a standard full HD display. HP plans to ship systems beginning in May.